Wow! Do you want big? You got it! The Day Dream has it all with a full-sized shower and a sunken kitchen providing generous space above for the loft-style bedroom. With a Tiny Home you can cleverly maximise the use of space and at Tiny Homes Perth we have thought outside of the box on this one! 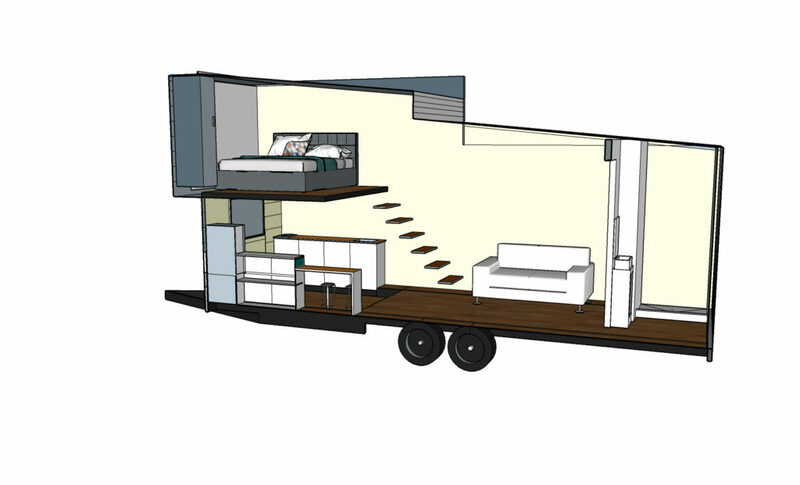 By dropping the kitchen into the chassis we have created extra head space for the bedroom above without compromising on anything! The large kitchen in this 4500kg home allows for added bench space, while a picture window above the bench area lets in light and the view as you to sit at the typical breakfast bar to eat your meal. Stairs to the loft provide added storage room, while the bathroom presents beautifully. The generous living room is central to the Day Dream, and once you are upstairs you can appreciate just how much space you have. The Day Dream is extended over the draw bar to allow added storage space in the master bedroom. 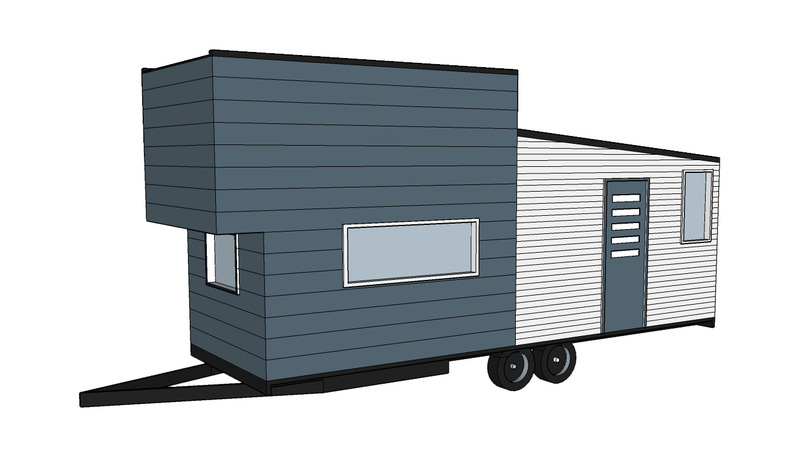 Should I get a 3500kg or 4500kg Tiny Home? What is the difference? Contact Tiny Homes Perth today to find out the answer to this question and many more at no obligation.